If you own an Amazon Echo smart speaker, do you ever get the feeling that someone at Amazon is listening in while you're speaking with virtual assistant Alexa? According to a Bloomberg report, there are times when someone at Amazon is indeed listening to recordings of your chats with Alexa. The company has on its payroll a number of employees who are being paid to not only listen to recordings of your interactions with Alexa but also to write it down. There are thousands of employees worldwide given the task of transcribing these recordings, adding comments, and loading the information into a software program. This is done to help Alexa improve its understanding of how humans speak; it also helps the digital assistant respond more accurately to users' commands. While Alexa is designed to use algorithms to improve its performance and user experience, there are also human Amazon employees involved in this process. The transcriptions are used by Amazon to help Alexa grasp some things that the company's algorithms might not cover. Alexa has problems understanding slang, foreign languages and regional expressions. Both Apple and Google also transcribe recordings of users using Siri and Google Assistant, respectively. Apple's recordings don't include information that connects them to any particular user and are used to improve Siri's voice recognition. Google has some employees listen to distorted audio from some users to help the company improve Google Assistant. These recordings also do not have information tying them to particular users. Speaking anonymously because of non-disclosure agreements they signed, the people listening in to Echo users' conversations with Alexa are both full-time Amazon employees and consultants. Working in teams out of offices located in places like Boston, Costa Rica, India and Romania, each employee puts in a nine-hour day during which he or she might listen to over 1,000 audio clips. While doing this work is pretty routine, occasionally the listeners will hear things like someone singing in the shower off-key. And if there is a word that cannot be clearly understood, an internal system allows employees to share audio files with each other. A recent job posting for Alexa Data Services in Bucharest reveals what the job is all about. The ad notes that "Every day she [Alexa] listens to thousands of people talking to her about different topics and different languages, and she needs our help to make sense of it all. This is big data handling like you’ve never seen it. We’re creating, labeling, curating and analyzing vast quantities of speech on a daily basis." As you might imagine, sometimes the recorded conversations include something that is upsetting to those monitoring the tapes. Two workers in Romania heard the sounds of what they thought was a sexual assault. While Amazon claims to have procedures that employees need to follow when something like this pops up on a recording, the employees say that they were told that Amazon should not interfere. "We take the security and privacy of our customers’ personal information seriously. We only annotate an extremely small sample of Alexa voice recordings in order [to] improve the customer experience. For example, this information helps us train our speech recognition and natural language understanding systems, so Alexa can better understand your requests, and ensure the service works well for everyone. 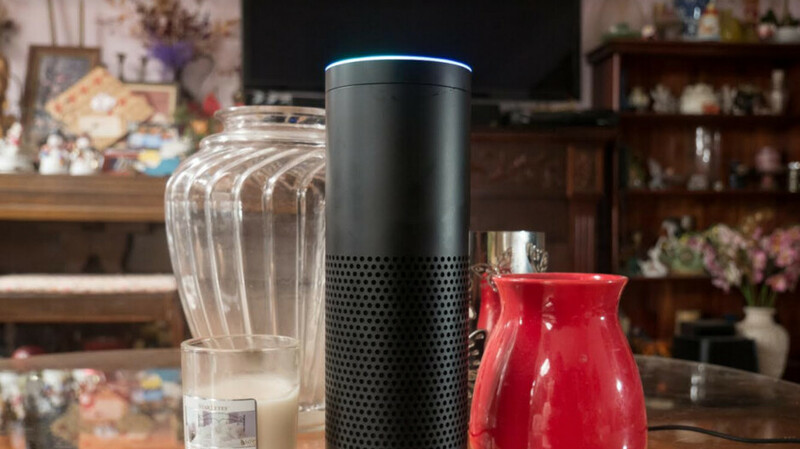 Echo users can prevent Amazon from using recordings of their voice to develop new features. But those that choose to opt out can still have their recordings transcribed in order to improve Alexa's capabilities. And while Bloomberg discovered that the recordings sent to the transcribers don't have a user's full name and address, they do include the user's first name, and account number, and the serial number of the user's Echo device. Earlier this year, another report said that employees of Amazon's Ring doorbell camera unit manually identify people and vehicles caught on camera. Amazon says that this is done by hand to help Ring's software learn how to do this automatically. This is the reason why i stayed in walled garden...apple. I do trust their products and companies’ vision in terms of security and privacy. I hate sending ads, notifications and email about a product I once browse. As the report states, Apple does exactly the same as Amazon and Google. All three of the tech giants employ humans to listen to private assistant conversations. Privacy is a myth.There's always someone on the other end listening.